This is not your ordinary sports bra. It is the comfortable, front zip, no bounce bra you have been waiting for. Step by step directions walk you through making an amazing bra that you can be proud of. There are three different back options including a racerback, criss-cross straps, and also adjustable straps. You will never have to buy a $80 sports bra again. This is the smaller band size version of the Endurance Sports Bra. 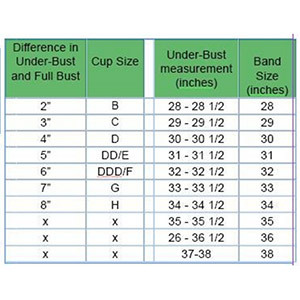 This pattern is available in band sizes 28" to 33" (this is your rib cage measurement) and cups B - H.
Suggested fabrics are lycra spandex, brushed poly spandex, scuba knit, and, cotton lycra.